When I was a beginner I often saw abbreviations and crafting terms that I didn't know what they meant and was a bit nervous to ask anyone so I thought I would make a list of crafting terms to help other crafters! If anyone has any that I have forgotten to add please contact me and I will add them to the list. Acetate-A plastic often used in crafting-similar to the plastic on packaging for food and toiletries. Acrylic Block-This is used to mount stamps onto in order to stamp an image. Aperture-A shape cut into your card blank to make like a window effect. ATC-Artist Trading Cards- little pieces of artwork traded between crafters. Brads-similar to what was called split pins when I was little-they come in all sorts of colours, designs, sizes and can be used to fix things to a card. Bone Folder-A tool you use to create creases and fold your cardstock. Bow Maker-A tool which helps you make perfect bows for your crafting. Blog Candy-These are giveaways crafters give away on their blogs. Chipboard-strong and sturdy material used for embellishing cards. Comes either pre decorated or plain for you to decorate yourself. Card Candy-Little circle shapes that give the look of brads but without 'legs'-the part that make brads split pins. Cardstock- A term used for card you use in crafting. CAS-Clean and Simple. A term used to describe a technique where you have a minimalist approach to your card. Cello Bags-These are used to protect finished cards when they are stored. Challenges: These are crafting competitions, sometimes for prizes. Coredinations- A brand of cardstock that has a variety of uses. You can tear, emboss and sand the card and see a coloured core. Crackle Accents-This is a medium that dries to form cracks where you apply it. It is very useful for distressing projects. Crackle Paint-This is a paint that dries to form cracks-the depth of the cracks depends on how thick you apply it. Cricut-An electronic die cutting machine created by Provocraft. Craft Robo-An electronic die cutting machine. Decoupage-Creating layered paper images with glue or foam pads-for beginners look out for the die cut versions where the images are already cut for you. Decoupage Scissors- These are little scissors that are good for cutting non die cut decoupage images as they can cut in smaller areas than normal scissors. Dew Drops-These are similar to gems but are like little domes instead. Digi's- These are digital versions of stamps-instead of stamping them with ink you use your printer to print them out. Distressing-An effect you can get in your projects by sanding or tearing your project etc. Die Cuts-These are shapes that are ready cut. This is a tape used to mount card together-it comes in a variety of widths. Double Sided Foam Tape-This is used when you have a larger area you want to make layers with. Dies-These are the tools you put through your manual die cutting machine in order to cut shapes out of paper or card. Die Cutting Machines-These come in two categories, manual and digital. Manual machines generally have rollers and a handle where you pass plates, card/paper, and a die/embossing folder through to either cut or emboss patterns out of the paper. Digital machines cut patterns and shapes out of cardstock or paper with little effort. 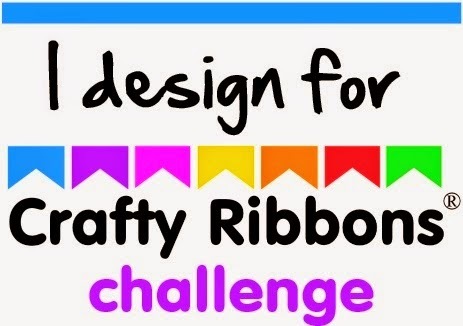 DT-Design Team-the team that create projects for blogs to give inspiration to crafters who want to enter their competitions. Easel card-This is a different folded card like this- instructions on the post! Embellishments- Anything you use to decorate your card-Paper flowers, Charms etc. Embossing: Creating a raised image. This can be created three ways. If you have a die cutting tool such as the Cuttlebug or Big Shot you can buy 'embossing folders' where you place card or paper into and run it through your machine. It can also be achieved by putting your card onto a stencil and using an embossing tool and applying pressure to create the desired image. Also there is Heat embossing where you stamp an image with embossing ink, applying embossing powder and melting this with a heat gun. Embossing Tool-This tool is used to create a raised image in card. Embossing Folder-These are the tools you pass through your manual die cutting machine to emboss card or paper with their patterns. Embossing powder-This medium comes in pots and looks similar to glitter. You stamp the image in a slow drying sticky ink and cover with the powder then funnel off the excess. Then you set this with a heat gun and it leaves a shiny looking raised surface. Eyelets-These are little metal pieces that fix into holes in paper or card. These reinforce the hole but are generally used decoratively. Eyelet Setter-This tool sets eyelets into cardstock or paper. Faux Stitching-as stitching has become popular on craft projects an easier way to get the effect is to mimic stitch patterns on your projects using a fine liner pen. Flock-This comes in similar pots to glitter and creates a furry surface where you apply it. Foam Mat-This is a foam surface you can use to put under your card when stamping to achieve an even stamped image. Foam Pads-These are commonly used in decoupage and to create layers on your card. Flowersoft-This is a medium that can be used to make realistic flowers and plants to use in your crafting. Comes in little pots like glitter. Glossy Accents-This is a medium that creates a 3D clear shiny dimension to your images or embellishments when applied and dried. Gemstones-These are little gem looking embellishments used in crafting. Heat Gun or Tool-This is a tool you use to heat your image-generally to melt embossing powder. Iris Folding-This is a technique where you tape coredinated strips of paper onto a patterned template to make a spiralling design. Ink Pads-There a a few different types which are required for different jobs. Firstly there are waterproof inks which are used for colouring stamped images with watercolours or water based ink-one example is Stazon ink. Next comes are slow drying sticky inks used for heat embossing-an example of these are Versamark Watermark Stamp pad, And lastly for those who use alcohol based pens for colouring (copics or promarkers) you will need dye ink pads like Memento as these don't bleed when they come into contact with the colour from the pens. Kraft card/papers-This is a type of recycled paper or card. LIM-Less is More. A style of crafting which is quite minimalist. LOTV-Lili of the Valley, a crafting business that make their own stamps you can only buy from them directly. Matting- This is when you want to add dimension to your card and attach your main card onto complimenting card and leaving a small border. Masking-This is a technique to make a scene with a couple of different stamps. Start with the stamp you want at the front of the picture and stamp this out, next stamp this image again on another piece of card and cut out. Add some removable adhesive and place it on the first stamped image. Take the second stamp and stamp over the masked image and then remove the mask. You will then have a scene. Nestibilities-A type of die for manual die cutting machines. Often referred to as 'Nesties'. Peel offs-These are the stickers often used as greetings but also comes in an array of patterns, shapes etc. Punches-These come in a variety of shapes, designs and sizes and they punch these into cardstock and paper. PATP-Punch around the page punches-the kind that creates a continuous border around your cardstock. Rub-ons-These are sheets that you cut round the image then run a lolly stick over to transfer the image onto the chosen area of your cardstock or paper. Shaker card-A card with a panel like a snowglobe like this. Instructions on the post! Shimmer Chalk-This is a chalk that leaves a glittery shimmery look where it is applied. Sketch- This is a way to position your images and embellishments on your cards. Stamps-These come in all shapes, sizes and patterns. You apply ink to them and you can recreate the same image many times. Sure cuts a lot (SCAL)- This is a program for your computer to cut with your Cricut machine or other die cutting machines. You can design your own cuts or download free svg files to cut on your machine. SVG files-The name of the main type of files used to cut in SCAL software. Shrink Plastic-This is a plastic that you can design your own shapes and when heated it shrinks down much smaller. Scoring Board-This is a useful tool for making boxes and assorted projects. Silicone Glue-This is often used in decoupage as it gives a 3d effect without using foam squares. It can be used on many different surfaces. 'Slice' machine-An electronic die cutting machine made by Making Memories. Stickles-A type of glitter glue often used in crafting. Unmounted rubber stamps-These are stamps which come without a backing. You can back them yourself or you can use them with pritt stick on an acrylic block to stamp with.